A village consisting of outlaw forces (pirates) and allies (NPC). Pirate Tower is located at the center of the island. Funny dancing pirates, guard the entrance is a level 50 elite. All of this can be sold for good money. A shot of the ship's gun kills you on the spot. Located left from the residential area. If you decide to explore the island without being a pirate pirate unenviable fate awaits. Morpheus on the Black Pearl is located on the right side of the tower, a circular building Pirate Tower. Is that one handed sword the only type of loot you can get from Morpheus or there's chance it can be anything else,such as a 2h sword,a shield,a bow or some jewelry? Is anywhere a loot table for bosses such as morpheus,langley,kraken etc,etc? 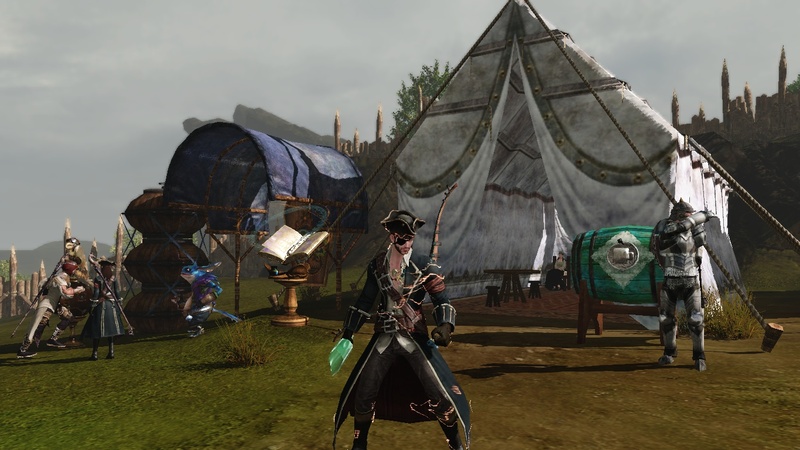 -The leather set you get from the barrels is the pirate-looking one seen in the screenshots. Crap stats, purely cosmetic. -On top of the pirate tower there's a mini-event. You can steal a flag (guarded by a boss), and turn it in on Liberty island for some honor points. It works like a backpack so anyone can kill you, steal it, and turn it in themselves. Technically it'll all be new. We're enjoying all these "new" features through a looking glass. It'll be much different when we can enjoy it ourselves.